Christians In Trouble: 190 Cities Aid in Americas Destruction! 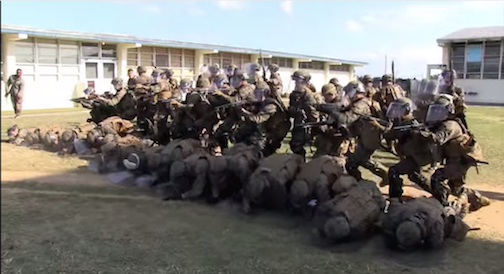 DOD Trains For Civil Unrest With Weapons Aimed at Participants! Bone Chilling! If truth be told we have crossed the threshold into a particularly concerning chapter in the American story, one that shifts us from a tale of adventure into a blood-curdling horror story. We have come full circle and while we are no longer being held captive by a British police state as our founders were; we are now being held captive by the American police state.